Mumbai is a home for many cultures and the Iranian Zoroastrian culture is one of the founding spirits of Bombay. In the 19th and the 20th century, many Irani immigrants settled in the city, led by the path of their Parsi cousins who came to India 1200 years before them. The Iranians settled here, set their businesses and Kyani and Co was one of them. Founded in 1904 by Mr Khodram. 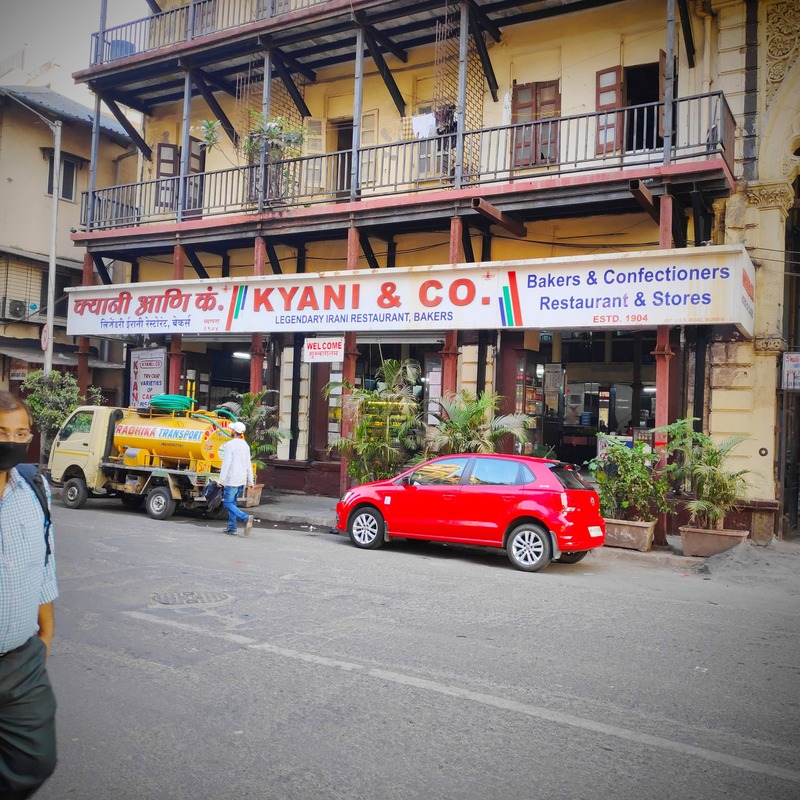 Kyani & Co started as a bakery which made bread, biscuits, cakes and other tea time bakes and continued the same trend until 1995. It was when one of the current partners, Farokh Shokri took over and in the year 2000, and added a few more items to the menu which are the MUST TRY'S. The famous Parsi bun maska, sali boti, Akuri, kheema pao and the legendary mawa cake. Your meal cannot be complete without a bottle of Palomji Raspberry Soda. The interiors are a spectre. The very first hand painted advertisement of fresh-baked Christmas cakes from the 1920s still stands tall amongst many others. The way to the upper deck is a beautiful old-fashioned wooden stairway built over 120 years ago. Many beautiful vintage photographs of the British Mumbai are hung on the walls. The rustic chairs, vintage around tables, wooden counters, huge glass panes with big glass jars full of biscuits and cookies, makes Kyani a visual spectre. Best time to visit is during breakfast or Lunchtime! Also On Kyani & Co.